As the PR industry continues to evolve, so should the practices being used to attract, retain and develop talent. After all, the PR students learning in classrooms today are the future leaders of our industry tomorrow. Today, millennial PR professionals are considering more than just great benefits and a lucrative salary when it comes to starting a career in the PR industry. 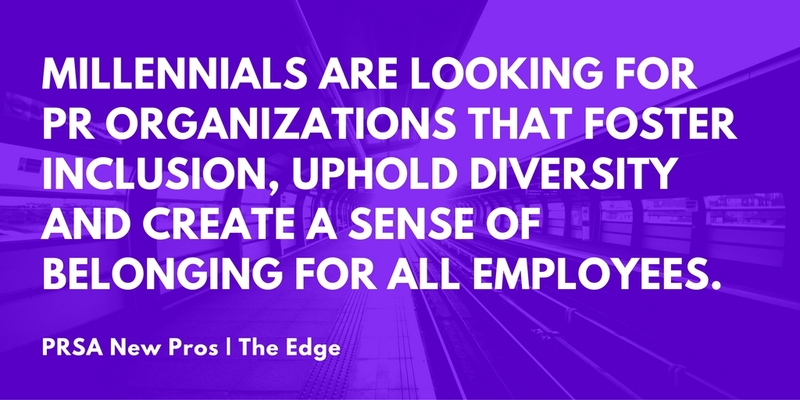 Millennials are looking for PR organizations that foster inclusion, uphold diversity and create a sense of belonging for all employees. The need for diversity in PR is more prevalent than ever among the generation of millennial PR professionals because diversity and inclusion are more than just buzzwords or boxes to check, Millennials believe they are essential to business success. Create a mentorship program for entry-level Millennial PR professionals to engage with mid-senior level PR professionals and build relationships with them. Yes, everyone does not want to mentor (nor do they have to), but not offering a mentorship program in general sometimes prevents those who want to mentor from taking action. Some employees will rise to the occasion and others will wait for their employer to act. Now is the time for PR employers to act and make strides toward increasing diversity in the industry. Develop a review system for millennial PR professionals to rate their PR organizations and provide honest input on the organization’s diversity and inclusion efforts. This will help bridge the gap between what PR employers believe is working and what Millennial PR professionals believe needs to improve. Employee feedback is essential for employers to improve their diversity and inclusion efforts overtime. Nearly eight in 10 (79%) PR employers see their efforts to retain a diverse workforce as being successful. Yet only two-thirds (67%) of young professionals agree with employees on their retention programs. Foster an open-office culture where millennial PR professionals believe their voices will be heard, acknowledged and valued from management. One-third of young professionals say the industry is not effectual at retaining a diverse workforce, compared with one-fifth of employers. All results from a PRSA Foundation survey, which was in the field from October, 2014, to February, 2015. See the full survey here. Demonstrate diversity and inclusion in all efforts. From the top-down, display a company culture where millennial PR professionals believe PR employers are authentic in their efforts and not viewing diversity as another “box to check.” Emulate the culture you want your employees to project and treat everyone with respect. Present career opportunities and advancements to all employees. Do not assume some millennial PR professionals won’t “be a fit” or do not “meet the mold,” you’re looking to cast. Take time to get to know their passions, interests and career goals. Give all employees the opportunity to shine and don’t be a barrier to their success. Empower your employees to do their best. What else would you add? Tweet us at #NPPRSA with the hashtag, #DiversityInPR and share the ways you believe PR employers can improve their diversity efforts in the PR industry. Sabrina Browne is Client Executive at Burson-Marsteller in New York City. 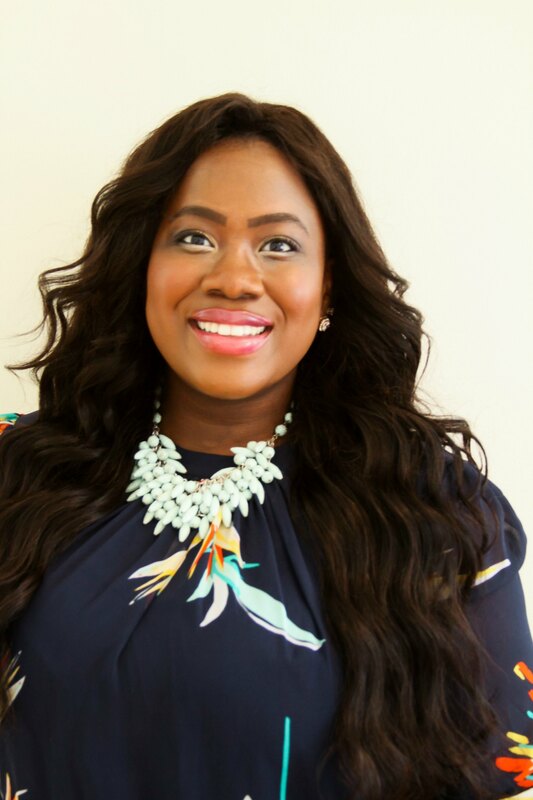 She prides herself on being a champion for the advancement of women and diversity in the PR industry. She is a member of PRSA New Pros and PRSA New Jersey, as well as a Scholarship Committee Member for the PRSA Foundation. Follow her on Twitter for all things PR and connect with her on LinkedIn here.